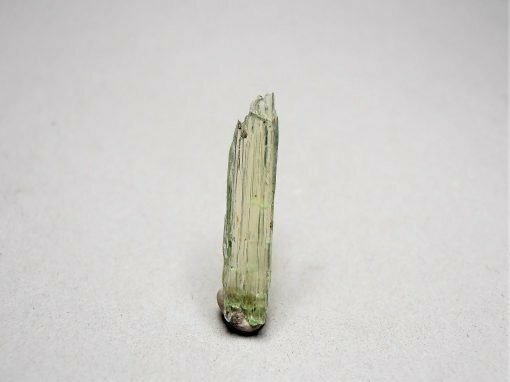 This hiddenite crystal is from the Adams Farm Mine in Hiddenite, Alexander County, North Carolina, USA. 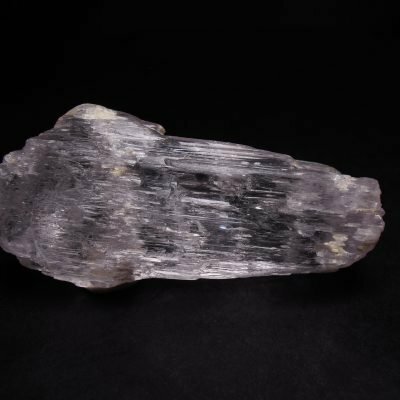 This locale was an open pit operation that mines in alpine type deposits that contain 13 different minerals including hiddenite. 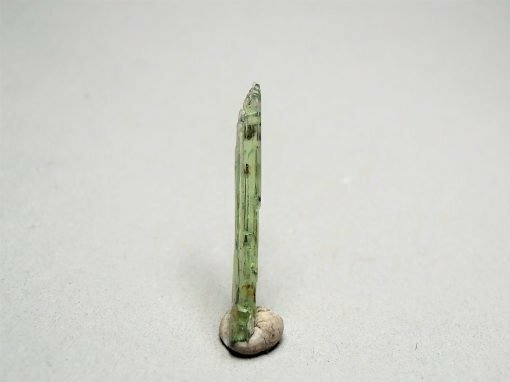 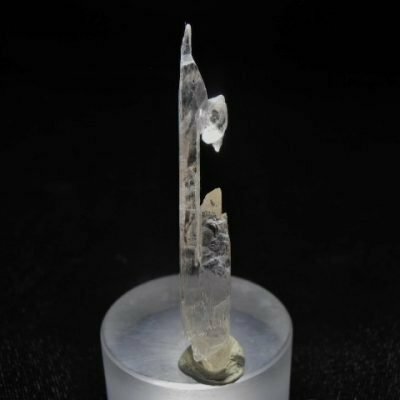 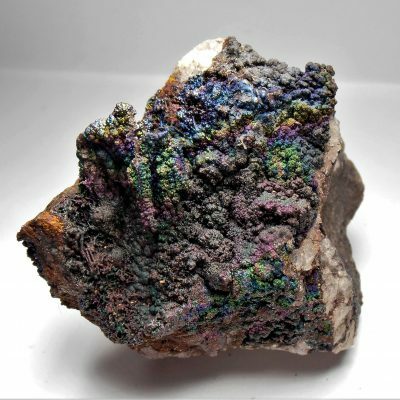 It is a silicate and a variety of spodumene that contains the elements Li, Al, Si, O. Crystals from Hiddenite rarely exceed 25 mm in length and this is a relatively large crystal for the type locale. It measures approximately 21 x 5 x 2 mm. 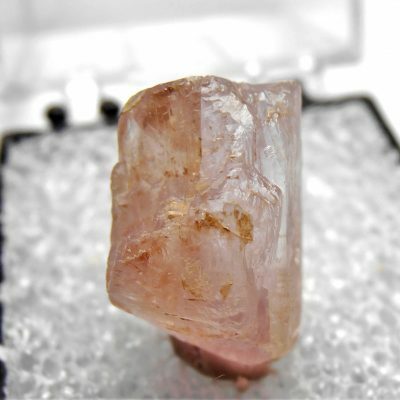 It weighs 1.62 carats.